are you ready to become a genuine hypnotist? Here you can learn how to hypnotise people… for free! And YES.... it's completely free. To get started immediately pop your first name and email into the form below and click on the 'Teach Me Hypnosis!' button. My name is Bobby Lay and this is probably the 1st time I have responded to anything on-line. I think your free lessons are great and I am very thankful for the instruction. I have always been interested in hypnosis or at least since I was much younger. I am now 54 and started searching through the Internet and somehow came across your web site. I have seen other web sites selling certification classes and have watched many hours of videos of how hypnosis works and how to hypnotize someone. Your videos are by far the best I have seen and yours are free. I just finished lesson 21 and can not wait for tomorrows lesson. Keep up the good work and I look forward to hearing from you soon. The lessons are amaziinnngg!!!! I love them all!!! It's great that you are taking this step by step! Today I hypnotized a friend and made them believe I enhanced their memory power. It works beautifully. I'm using some NLP with my hypno sentences and they work like magic! Thank you, I appreciate your master work. I love hypnosis and I cant wait to do some stage shows!! I have been studying hypnotherapy for about 12 months and have been a little bewildered at the amount of information and misinformation that abounds on the subject. There are people online offering courses who seem to be academically accredited, some even have impressive initials behind their names such as BA. This could lead the reader to believe that the person offering a course has been educated up to degree level with a Bachelor of Arts but if you read deeper and do more research will find that Hypnotism and or hypnotherapy is not accredited by any government educational body and you do not need a licence to practice. There are no university degree courses in the subject. There is no BA in hypnotism and the abbreviation in this case meant ‘British Association’. Was the term ‘BA’ suffixed to a name to deceive? Who knows. It would seem that the best hypnotist are people that excel in communication and have a background in phycology, NLP and other related subjects. I took to YouTube to learn more and that is where I came across video lectures/lessons by Stephen Hall. I have never seen any better content and the best bit is that it was free. The thing that most impressed me about Stephen was that he was unafraid to demonstrate by using the viewer as a subject! Whatever level you are at I would highly recommend Stephen Hall as one of the best that I have seen to date. Stephen is also very approachable and I have already gained from his input and advice. Thanks a million for the free course videos. I attended a Workshop and this is a good reminder. I am looking forward to the more advanced techniques in the coming days. The explanation of the hand sticking exercise is really interesting, highlighting the language used and the actions that the hypnotist does to gain the required response. I really like the car analogy with the driving instructor telling you how to drive the car and where to go. That explains the role of the hypnotist really well. You have immense knowledge and skill, not to mention confidence and enthusiasm and I am looking forward to working with you through this course. I especially liked the 'get out' if the sticking doesn't work as I think it is important for people to have that peace of mind that they cannot be made to do something against their better judgment. Thank you so much for putting this course together. Thank you very much sir, for your free hypnotic lessons. I am a pain healer practicing dynamic touch drugless pain healing therapy. Your free lessons have been very helpful to me for my profession. I cannot thank you enough for the wonderful incite into hypnosis that you have given me. I have just started out and have found your words so useful, you explain this so well and have really given me a clear, understanding of some of the things I could not figure out in the course work I have been completing. You have also given me some wonderful tips on how to get the best out of sessions and how to move my business forward. Personally I thank you a lot for your free Hypnosis training, as I have learned so much. Funny enough, not only about hypnosis itself, but also a lot more on how the brain works and how people function in general and so much more. It has given me great insights and I am looking forward to receiving more of your work and video's. I actually find it a pitty that it stopped now, as i had been looking forward every day, to receive the new lessons. I am as logical as a person can be, being an engineer where my faith is mostly in facts, logic and mathematics, I must admit that I have changed my perceptions a bit. I now have dedicated myself to become a hypnotist and in the future become a certified NLP master hypnotist. Lesson 32, showing the speed induction, was great for me to see you in action, applying the things I learned during your training. I would recommend this course to anyone who wants to learn hypnosis, The fact that it is video illustrated makes it easy to use, and a lot easier to understand. If this course was for sale I would recommend it to anyone who is thinking of educating their clients about hypnosis. This would be an ideal gift to enable them to understand the ins and outs of Hypnosis. Thanks Steven for your help. Thank you from the bottom of my heart for the hypnosis courses. I have tried using the techniques that you teach and have had success. I however recognize watching your inductions as an experienced Hypnotist how much smoother your inductions are. I'm sure I'll get better at it over time. I feel you have given me a great gift. In the first place this course is way more explanatory than many of the high priced stuff and all the way through I did not feel your hand in my pocket which is so often the case from online so-called offers. The second thing is it was understandable and easy to follow and your material was presented in a rather easy way to follow. I am sure most people who take this online course of yours will benefit greatly. I would like to say first and foremost, thank you for providing free hypnosis lessons. I always wanted to learn more about hypnosis as a young kid, as I would often hear of stories on how they could bend the wills of other people like magic. Now I realize that hypnosis isn't some hocus pocus magic. It is actually a great tool in helping others. I have learned more from you than in some other classes, because you were able to teach it in a way I could understand it. I like the one-on-one style. Again, thank you for the lessons. Very valuable lessons. I thought I knew all there was about hypnosis. I just wanted a refresher since it's been ten years since I've practiced it. You have explained much more than I knew before and in a way that helps me grasp it. Thank you for posting these! What a great resource! I just wanted to say a very big thank you for the information you gave us. It was just brillant. I am also doing another on line course. I started it well before I found yours, it has a habit of putting me to sleep it's just too monotone. I would highly recommend following your course right to the end for the gold nuggets of information spread throughout. You have done a great job in that all of us who completed your course will surly attest to. Thanks. It would be good if I could find a mentor as well as more insight on the psychology of hypnosis. THANK YOU SIR FROM THE BOTTOM OF MY HEART! I've learned so much from this free course, you are an amazing person. I still can't believe that there are people like you who want to freely share their knowledge even though they worked so hard to get it. I've learned so much from this free hypnosis course, you have explained everything in such an understandable and natural way. I'm looking forward to learning more from you in the future. I hope your spiritual growth is going well and that you are finding your answers, cause you're certainly helping me to find mine. I want to thank you for taking the time to give this. I'm not a beginner, but I find your approach enriches mine. Thanks for your email. I've enjoyed you lessons very much. You present a lot of good information and techniques in a clear and understandable way. Although it is not my prime goal to become a hypnotist, your course gives a very clear insight in the way the human mind can be manipulated and even controlled. Many thanks for the lessons and keep up your good works. Well I love the lessons, they're really helpful. I can't believe my hands actually were stuck I almost cried out of excitement because it really worked. I can't wait to see my next lesson. Excellent honest presentation with great results. I am on lesson 4 and can't wait for the rest. The strength of the course is that you make it sound uncomplicated and achievable by anybody. I am really enjoying your course so far, you have a way with explanation thats just chokingly fantastic, its very easy to make sense of it all. I really feel I'm going somewhere. I'm 23 years old and I have been researching hypnosis for something like 3-4 weeks now and I can succesfully use rapid inductions. Your depth of knowledge and experience and your straightforward method of instructing were extremely helpful in expanding my understanding of the whole process. I particularly appreciated your explanation of different personality types and how to deal with them. I hope I can use what you have taught me to move forward and help other people with my newfound skills. I have a background in Hypnosis, Self-hypnosis, Dynamic Meditation, Psycho-therapy, and Creative Visualization. Your Course added to my knowledge, variation and depth. It was direct, step-by-step and authentic. I admire your contribution to humanity. May the entire Creation bless your creative work! Your course is extremely awesome Steve. I really like it. Thank you for being so informative about such things as linguistic bridges. I've taken two other courses in classes and you answered questions the others didn't. Anyone interested in Hypnosis, beginner or advanced can learn something important in your course. There are things you bring up that my hypnosis teacher would not hit upon or answer. There is so much out there on the internet that just gives a little bit and that's it. I would like to consider you to be my hypnosis teacher if that ok with you. It was a bit complicated in the beginning but I did understand eventually and it was quite brilliant then. But most of all I loved learning and I liked the flow of the topics as it made easy for me to understand. This program has helped me a lot and also taught me more about hypnotism and its various uses. Materially as well as spiritually. Thank you. I have gained a lot of knowledge about this unspoken and lesser known science & hoping I get to use for others to benefit soon. Thank you for the course so far. I was surprised that it was for free I was waiting for the catch but there is none! I was very interested in your explanation of the brain waves and the different states of consciousness. Your talks are interesting and engaging. I get the feeling that I might just be able to do this. I want to thank you Steve, the free course is absolutely amazing. I learned so much and look forward to getting everything you have to offer. I extremely enjoy your hypnosis lessons and am so glad I came across your website! After lesson 6, I decided to try the hand lock technique on my friend and it worked! He asked me if I could put someone into a proper trance, I said no but gave it a try anyway. I made up the script as I went along and it worked! I got so worried I couldn't get him out of the trance so I woke him up straight away, then I put him in a trance again and made him believe his shoes had fallen off and it worked! I must say that I would have never thought that so much information would be included in a free course. So far, I have been able to use what you taught and better understand how people work as individuals. Although I have not been able to practice putting anyone into a full hypnotic state, I have been practicing using certain language patterns to get messages across to my employees to get them to want to be more productive using conversational hypnosis. It has been the difference between win and lose. I am now listening to your videos for the second time and learning even more! I'm really excited about perusing this field and discovering what I may be capable of. Just a note that I just finished a course for certification in hypnosis. Yet, I am thoroughly enthralled with what you have to share in you 33 videos. I am at video #7 and so far loving the way you teach. I took Cal Banyan's course. Yet, still I am learning from you a great deal. Thank you again for taking the time to do this. I have been enjoying the hypnosis lessons so far, but I have been very busy recently and am not 100% caught up. However, from what i have seen so far, these lessons are very helpful, and I now have a much better understanding of hypnosis. Firstly, I thank you for such a fantastic hypnosis course for free. The course takes you through every aspect of hypnosis. Beginning with “Why hypnosis works” continues through “How” part of it. Each major concept has been explained thoroughly in separate lesson. Vast experience of the author has made this training material more practical. We get to know about world’s great hypnotists as well as best reference books. Not only hypnosis but NLP also has been covered to the necessary extent. Modified NLP phobia cure technique has been quite interesting. The book “Wishing, Well!” takes NLP & hypnosis to a totally different level of manifestation. I wish you all the very best for your mission. Just wanted to give you some feedback on the course. Now I did some of your course about 2 yrs ago and felt as though I'd learnt a lot from you. But about half way thru the course my email got hacked & I couldn't remember the name of the course, so I never completed it. Last year I did a 3 day hypnotherapy/hypnosis training course in London, it was very good but there was no physical practise which I feel I need to help with my confidence. Anyway on this course he (the trainer) preached that hypnosis isn't real, it's all make believe and the subject plays along due to peer pressure. Although I do agree somewhat with that, I do feel there is much more to hypnosis/hypnotherapy than just peer pressure & placebo. He also told me to throw away my salad cards & hypnotic language shortcut cards, he said they'll confuse me & serve no purpose in hypnosis. Last time I took your course, their was a part where you gave a script with subliminal suggestions. I read this script to my wife who was unaware there was any suggestions in the script, she thought it was just a relaxation thing, anyway she responded fully to every suggestion, although I can't remember the script, I do remember she did things like rubbed her right eyebrow and her left ear (I'm not sure what else, but I think their were others). I tried the same script on my friend who isn't very suggestible (even finger magnets don't work with him as he just fights it all the way, very very stubborn person) Although he didn't respond to every suggestion there was one or two he did respond to. Based on that I genuinely do believe their is such a thing as hypnosis. So the course I did left me a little bit disheartened, i decided to try & find your course again. All I could remember is you're called Steven and had a Coventry accent. Anyway I found you and I'm really enjoying the course again. I think the script writing sessions are excellent, gives a great foundation for hypnosis. I can't believe it's a free course, it's worth it's weight in gold! This course has really helped me to grasp the whole concept of hypnosis. Thank you so much for putting it together. I'd love to take any other courses that you do. I am having so much fun watching the hypnosis course videos and learning so much more each time I watch them. Keep up the great work you are doing you have impressed me so much with your knowledge. Steven's free lessons on hypnosis are both enjoyable and full of helpful tips. The great thing about the lessons is Steven's quiet and peaceful 'delivery'... in fact it feels as if you are actually in the room with him. Highly recommended to anyone who is looking for a thorough and thought provoking hypnosis course. Thank you so much for guiding me. The course materials are amazing , I am going through it practicing. I just wanted to touch my subconscious mind and activate it I will come come back to you when ever I need your guidance, hope you will be kind enough to extend your valuable help. Once more thank you for the most practical instructions on Hypnosis. Thanks Steve for these very useful and wonderful lessons. It's amazing what you accomplish in just a few minutes each day! Your lessons are really packed with a lot of information and reflects your mastery of the subject matter as well as a reflection of your experience. I have read books on hypnosis(Kroger's etc) which basically teach you the same things you are talking about BUT they fail to provide us with the very important visual and auditory input that you provide. Not to mention that it takes a long long time to read and extract the information you provide in just a few minutes. Again, thanks a lot for these lessons. I just wanted to say thanks for the course, It's been great I have always wanted to learn hypnosis and NLP but never knew were to start. Now I am reading your book and I have read Dantalion Jones book and I have also got the salad cards, I am just trying to find the courage to start practicing and be fearless and not be afraid to fail at first. The wife is getting a tattoo done soon and I am going to try the rapid technique. I must tell you that I thoroughly enjoyed your hypnosis classes and really Loved your Book "Wishing Well." You confirmed many thoughts that I have had. I needed this at this particular time in my life. I have played, coached and officiated Women's Field Hockey. I was very successful in all three activities. I never lost a game as a Coach. I have been behind, but never gave up. I wanted you to know that I did read your book and that it made a difference for me. I'm starting a new chapter in my life and difinitely will be practicing the methods you set forth in the book to create a life of my own design. Many, many Thanks for all of your wisdom and kindness. I'm eight lessons in; just wanted to thank you for offering this for free. It's very helpful, and your patient style makes it easy to follow. Much appreciated, and looking forward to more! Do you think it's possible to hypnotize a person to win a car? The results of this crazy experiment may shock you! Push out those negative thoughts. Speak to the public without letting fear hold you back. Increase your motivation to exercise. Slim down by thinking thin. Build your self esteem to new heights. Hypnosis can make you RICH! Did you know that the ONLY reason you are not rich right now is because your subconscious mind contains beliefs that are sabotaging your success? Click HERE to Watch The FREE Video Presentation NOW! Your Computer Could be Programming YOUR Mind for SUCCESS Right NOW! 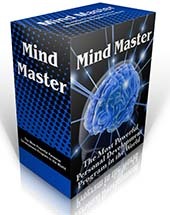 Mind Master automatically programs your mind as you use your computer. 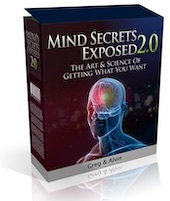 It flashes powerful life changing messages and images onto your screen that bypass your conscious awareness, completely reprogramming your subconscious mind so that you can achieve whatever you desire. The software comes with several ready made programs, which can can easily edit, or create your very own. Very highly recommend! Don't waste another second on your PC without it! Click here for full details and to read customer reviews.